This is a restaurant for the new people. Join us in this purpose to thanks our Pachamama and celebrate with the marvelous things she offer to us. 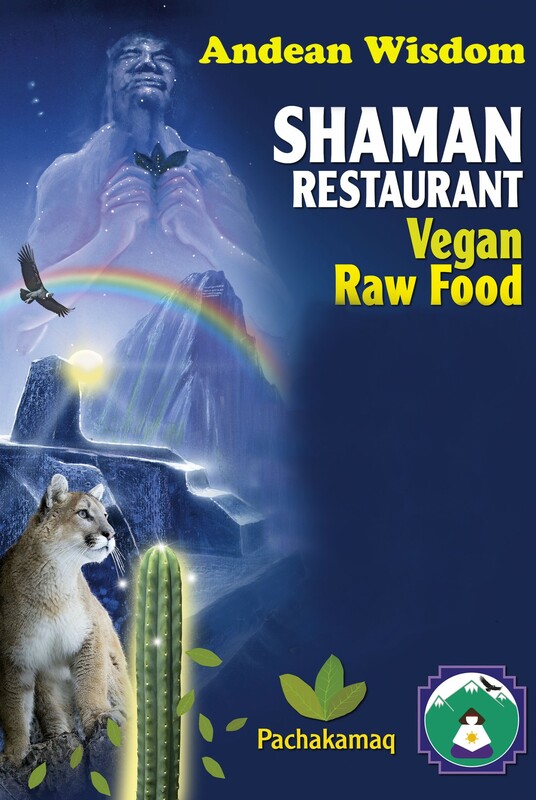 Come and taste a true flavors of Shamanic Life through our special section of Power Foods and Power Drinks. 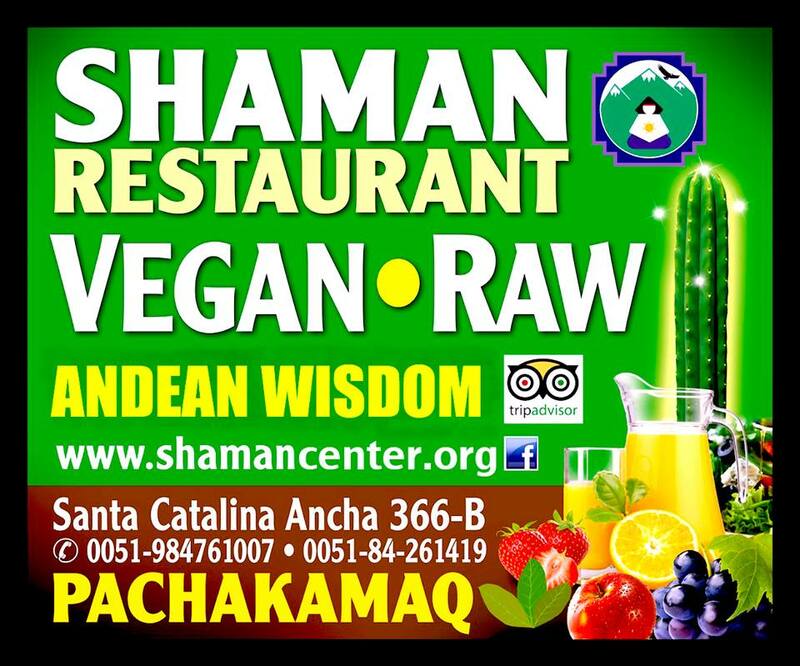 We are the first Shamanic Restaurant in Peru that is dedicated to deliver ancient shamanic food practices and secrets straight onto your table or even your home! Experience a truly empowering flavors of Nature from the foods organically grown in our special Power Garden and prepared with special ancient rituals, practices and mantras to turn gifts of Pachamama into Food of the Masters! 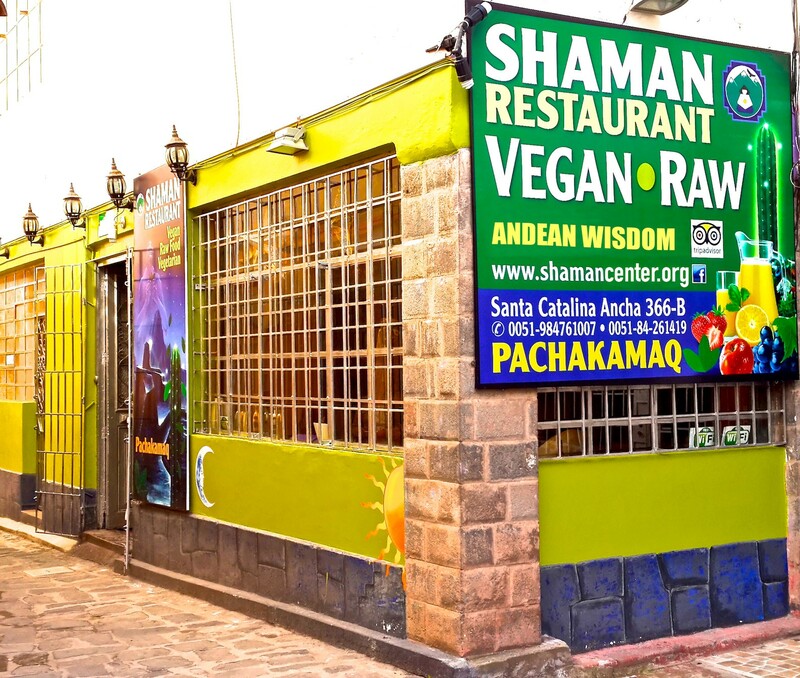 We offer raw, vegan, vegetarian and special ‘shamanic dieta’ selection of foods in our unique, specially designed shamanic location in the Heart of Cusco City! Our mission is to educate people to cooperate with the new generation for the preservation of our world, which is our Mother Earth. We are active people in the shamanic path, meditators and of course vegan and want to share with you a natural and magical experience in the land of the mountains where the ancient Inkas honored Pachamama. We are a well established, hard-working Andean organization based in Cusco, Peru; out of necessity to spread the discoveries and scientific facts of extensive research into archaeological sites and power places of Andean civilizations. Not only our experts were able to provide new scientific evidence to suggest a highly advanced civilizations that existed in Andes of Peru and Bolivia, but were was able to recover, integrate into their lives and then teach an ancient shamanic Master Path of the Andean Initiates. Starting from publications and public presentations on local and international arena, progressing to providing a direct living experience and evidence highly advanced Andean culture and practices to the visitors to Peru and Bolivia, we are now involved with large scale community and humanitarian projects that continue to earn us a solid international reputation as reliable representatives of Andean Culture, humanitarian activists and providers of genuine, spiritual and shamanic journeys into the Sacred Andes of Peru and Bolivia.